The national governing bodies of Britain's most popular sports will continue to make their major events available on free-to-air television. Cricket, football, golf, tennis and rugby union and league have re-signed a voluntary code first set up in 2009. This means free-to-air broadcasters like the BBC will be given access to highlight packages, at the very least. It also commits these sports to allocating up to 30% of their broadcast deals for grassroots projects. The code of conduct was established by the Sport and Recreation Alliance, an umbrella organisation of more than 300 bodies, and it is overseen by the Sports Broadcast Monitoring Committee, chaired by former Channel 4 executive Sir David Scott. "The code makes the best sporting events available to everyone, regardless of their ability to pay," said Scott. "It also makes clear the link between the success of these blue-riband events and a healthy participation base. "In the last available financial year, sports bodies that are full signatories reinvested at least £135m in grassroots sport." Among the areas the code defines as investment in grassroots sport are youth programmes, community facilities and coach and volunteer training. As well as the seven organisations (the Lawn Tennis Association and Wimbledon's owner, the All England Lawn Tennis & Croquet Club, are joint signatories) that have committed to both the TV accessibility and grassroots investment aspects of the code, three bodies have signed up to the accessibility element: golf's European Tour, the Premier League and UK Athletics. The Premier League's reluctance to commit 30% of its vast TV income to community and development programmes may concern some but in May it did announce a plan to distribute £1bn to lower division clubs and grassroots football, which is on top of the money the clubs themselves share. 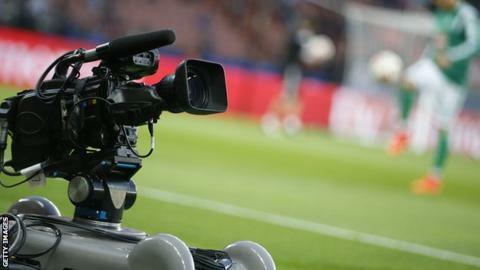 Premier League chief executive Richard Scudamore described this as "unprecedented levels of redistribution in world sport, let alone football", although critics have pointed out the Premier League's total broadcast revenues will top £8bn from next season. British sports broadcasting's "crown jewels"
But the fact that 10 leading sports bodies have pledged to provide free-to-air broadcasters with live, recorded or highlight content should be welcomed by most fans, particularly as the live rights for the most popular sport continues to rise inexorably. With the live rights to England's men's cricket matches going to pay TV in 2005, recent deals have seen the BBC lose live coverage of golf's Open Championship to Sky, BT take the Champions League from ITV and Sky, and Eurosport secure exclusive pan-European rights to the Olympics - a deal that poses questions for the "crown jewels" list of events that have been reserved for free-to-air TV by legislation. Live rights to Six Nations games were also expected to go to pay TV but a joint BBC/ITV deal was announced in July to keep rugby union internationals on free television. The renewal of this voluntary code of conduct, however, will not end the debate about the relationship between broadcast deals and mass participation in sport, with powerful voices arguing for more - and less - regulation, and many experts and politicians calling for closer scrutiny of how public money is used to promote sport for all.